Each month, FaveCrafts hold a blog hop featuring the blogs of some of their regular contributors and what they've been up to in their studios during the past month. Well, here in Australia, November means Melbourne Cup time, so my crafting has centred around "Fashions on the Field" this month. The Spring Racing Carnival is the one time of the year when ladies can wear the most outrageous hats and fascinators they can lay their hands on and no one bats an eyelid. And whilst there are plenty of exquisite pieces of millinery to choose from in the boutiques, there's nothing quite like making one that suits your outfit to a T yet doesn't break the bank. Here's my tutorial on how I put together my fascinator the easy way. But what would a hat be without accessories? A girl simply must have jewellery to match! And mine came in the form of a gemstone donut which I teamed up with black glass pearls and Swarovski crystals with earrings to match! 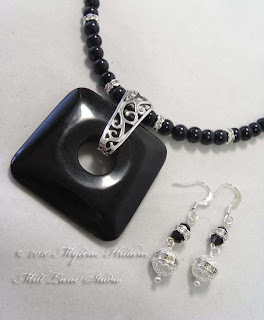 There are more details about these jewellery pieces here. Now I don't imagine that hats and fascinators will come back into vogue anytime soon so I'll be carefully packing away my fascinator until Melbourne Cup comes around next November. Sad really, but I can promise that I will be sporting my new jewellery ensemble every opportunity I get! 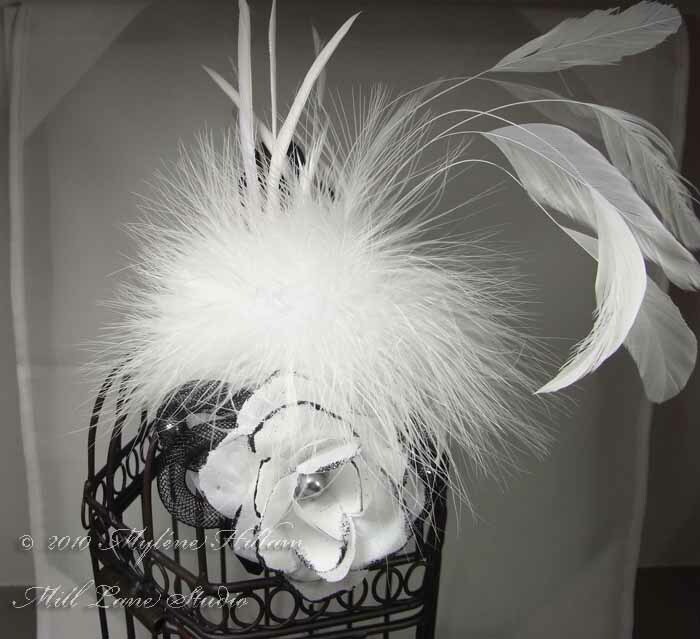 I am in awe of this gorgeous fascinator! I can't wait to make one. Thank you so much for including it in the FaveCrafts' blog hop. To say thank you, we're putting together a special newsletter on Wednesday that features all of the projects that participated in the November hop. We hope to see you "hopping" next month! Gorgeous hat and matching jewelry. You would be at home in the US at the Kentucky Derby with such a wonderful hat!